Madras High Court Recruitment 2019 – High Court of Madras announced 68 Job vacancies for Law Clerks for Law graduates. The detailed eligibility and application process are given below. the recognized Universities in the Indian Union and recognized by the Bar Council of India for admission as Advocate or Attorney of an Indian Court. duration of their course are alone eligible to apply. How to apply Madras High Court Recruitment? All eligible candidates download an application form in Madras High Court website.The filled in application (soft copy) without annexure should be sent through email at estt.madrashighcourt@gmail.com on or before 22 April 2019. 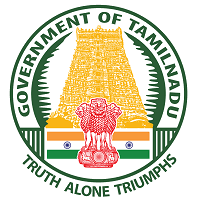 All interested and eligible candidates download an application form in Madras High Court website and send duly filled application form along with required documents to the following postal address on or before 25 April 2019.